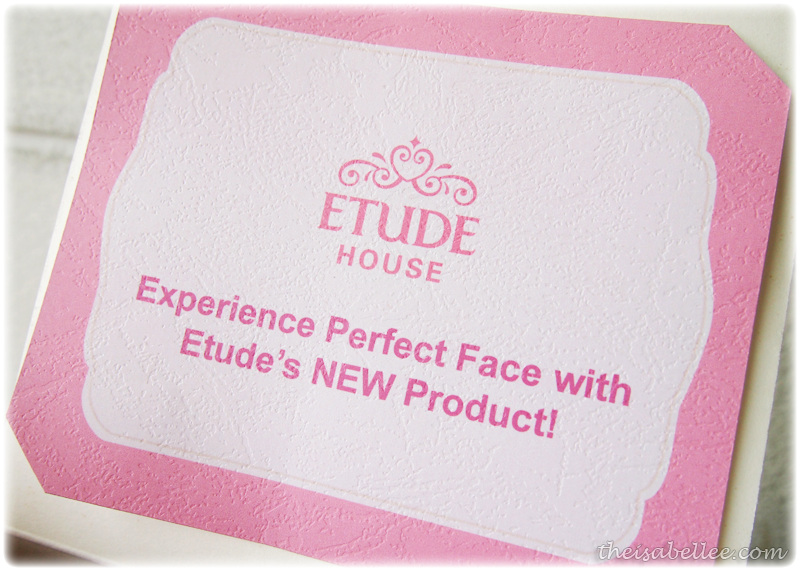 Read on to find out what is this new product by Etude House and how you can win yourself one! Whee! 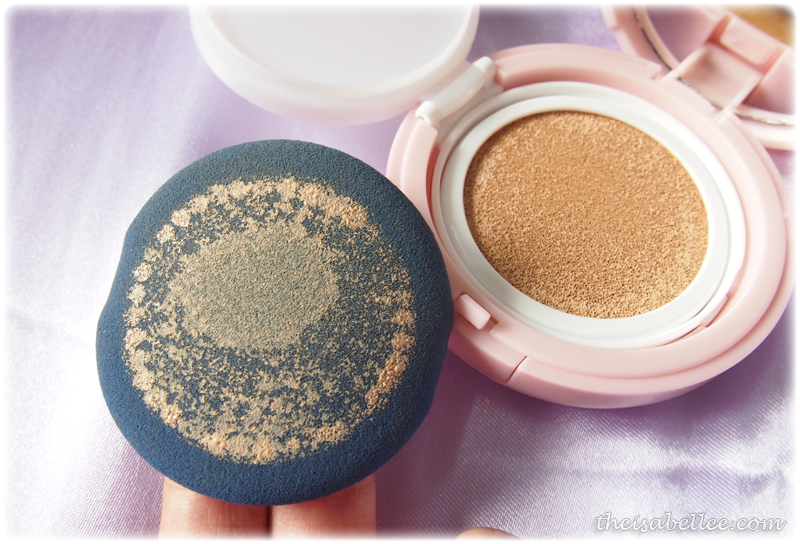 It's Etude House's new Precious Mineral Any Cushion! Why 'Any'? It stands for the idea of.. 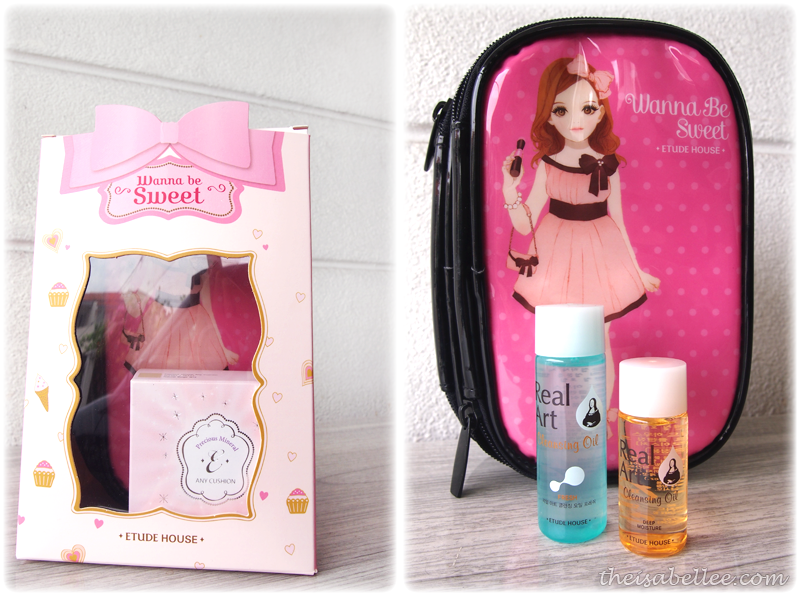 The packaging is so girly! !~~~ I like I like.. The liquid foundation is kept in this sponge cushion. Remember to close the cap back to avoid it from drying out. Apply on face in patting motions rather than the usual dragging. The product claims to allow users to apply their foundation in 10 seconds and it's true! With the Air Puff and formula, it's so easy to apply. Even if you simply pat, you get a smooth, even coverage. 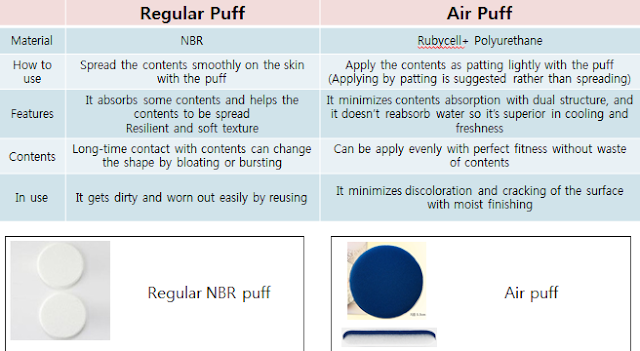 I have no problem getting around corners of my nose or undereyes with the soft & flexible Air Puff. With our weather here and exposure to UV light, our skin temperature goes up and we feel uneasy. Patting on Any Cushion gives you a cooling sensation which I find to be really interesting. Plus it has sebum control too. Natural Beige W13 is way too fair for me at first but it does oxidize a little and there's a darker shade as well (Honey Beige W24). I'm not fair to begin with anyway..
Coverage is not superb but it's enough for me. You can use more on trouble areas. 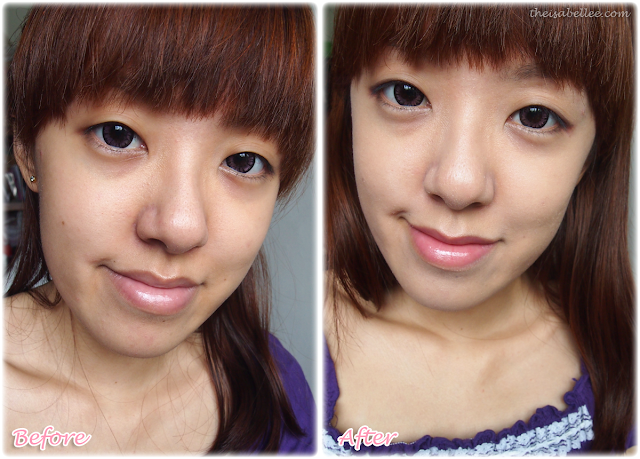 It can counter redness around my nose and pimples (check out the one near my eye!) as well as lighten panda eyes. It gives my dull skin an overall glow, evening out my skintone and covering pores. I look more refreshed with the Any Cushion on. It contains Pearl Mineral Powder to give clear skin while niacin amide aims to whiten and reverse effects of the sun. Due to my dry skin, I usually try to avoid liquid foundations as they cake up and flake terribly. I'm surprised that this didn't have that effect! Possibly because of its Hyaluronic acid content and Air Puff which doesn't absorb water. It dries like powder (except it isn't matte) and looks so natural. Feels really light on skin as well. A liquid foundation with a mirror! 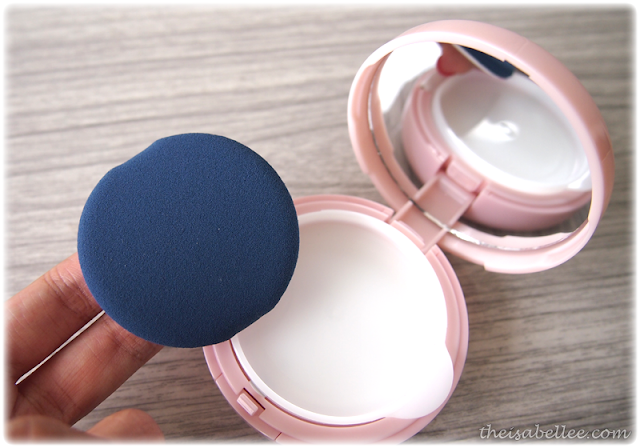 =D Can easily check and touch up my makeup when I'm out. 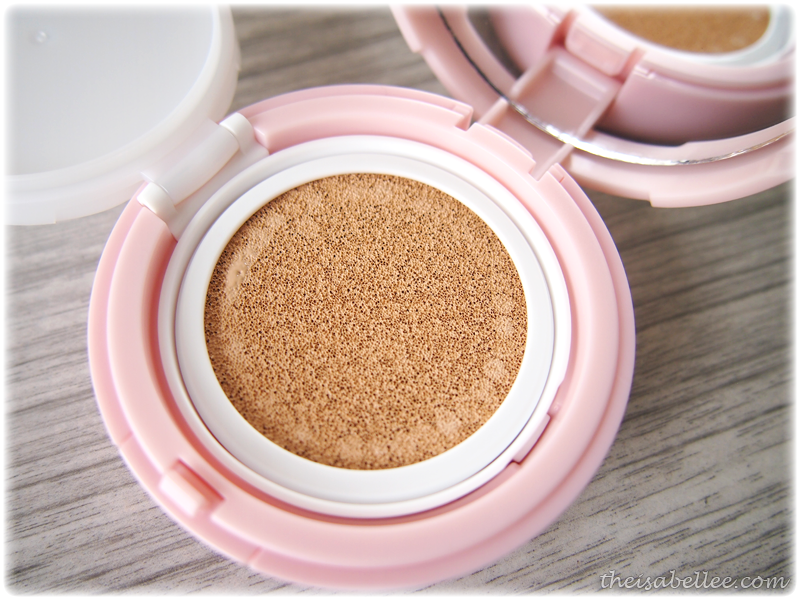 I like how it has the convenience of a powder foundation but the coverage of liquid and yet look so natural. I think I just look.. mega tired. LOL! Why lar.. Why do people find them cute?!?! Or maybe it just doesn't suit me? 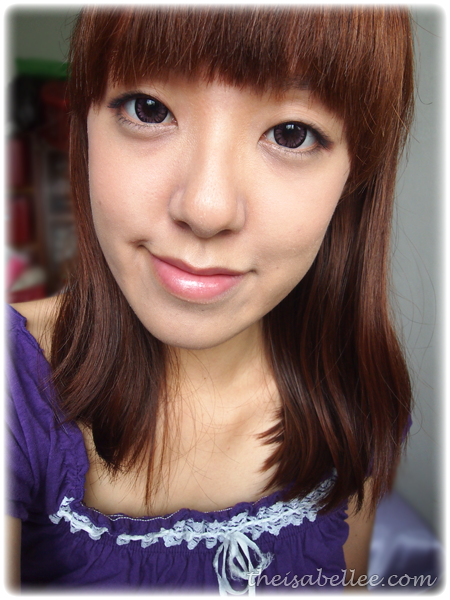 =/ Don't ask me to 'move' my eyebags because that's where they naturally are! 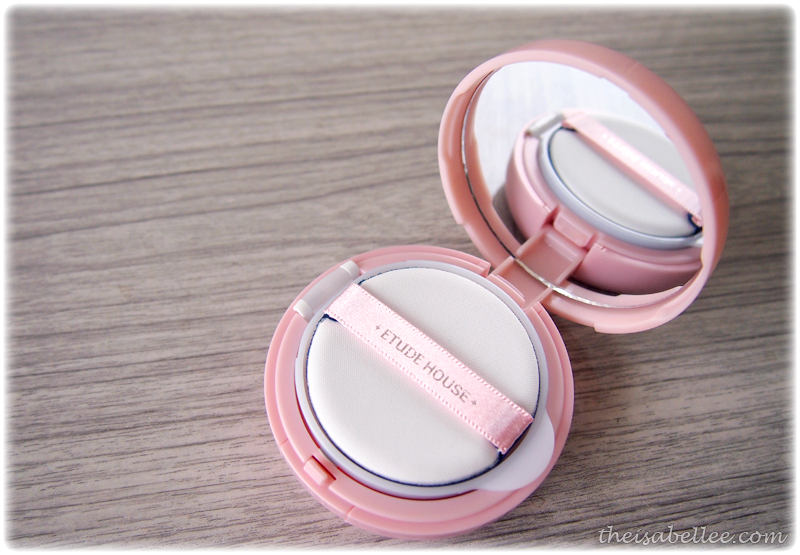 Overall, I'm impressed with this latest product by Etude House. If you have dry skin, want to reduce your makeup time or simply love pink stuff, you can give this a shot. 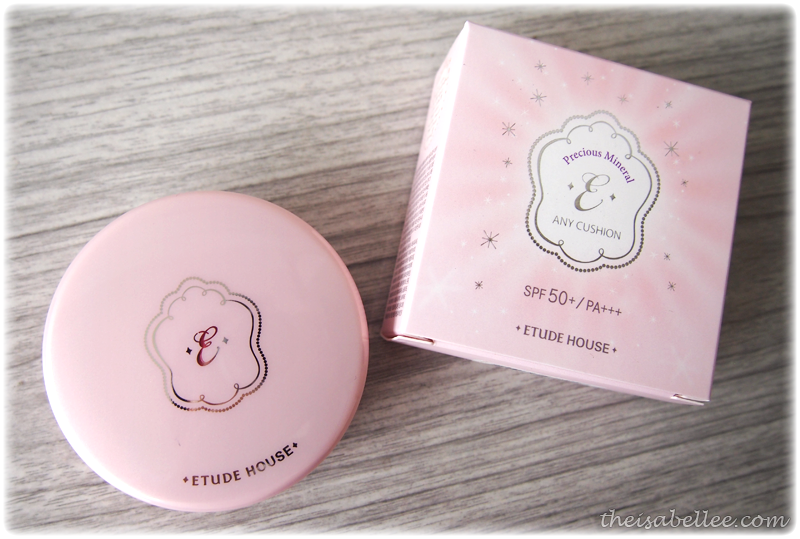 MY Etude House is giving 38 fans the chance to use this lovely product! Click HERE to join. 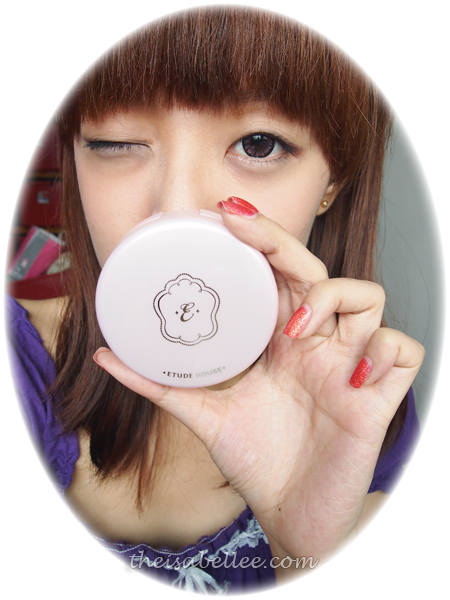 I can't wait :D Hahah.. it's an alternative to Laneige's snow cushion BB. Plus maybe Etude's version is more affordable. Oh when will it arrive? Btw great post and thanks for sharing! so it's actually liquid foundation that is soaked up through a sponge? but then how will you know if it's finished?